In virtually every industry, marketers are learning about the importance of building a sales funnel. But do you know what a “smart” sales funnel is, and how to go about building one? In 2015, marketing expert Matt Ackerson wrote a popular post called Smart Sales Funnels Are Coming, where he predicted that tailored, personalized funnels would become the future of selling online. Remember in the futuristic movie Minority Report where Tom Cruise is walking through the mall and all of the ads are scanning his eyes, measuring different factors like his location, what he’s wearing, doing, and current state of mind? The ads then automatically and instantly customize the presentation of their offer based on this data. You can think of a smart sales funnel as a personalized conversion journey. Imagine users seeing unique messaging not just in emails, but in website pop-ups and overlays on your blog, depending on their stage in your funnel. With one of Drip’s newest integrations, this kind of “futuristic” website personalization is now possible. 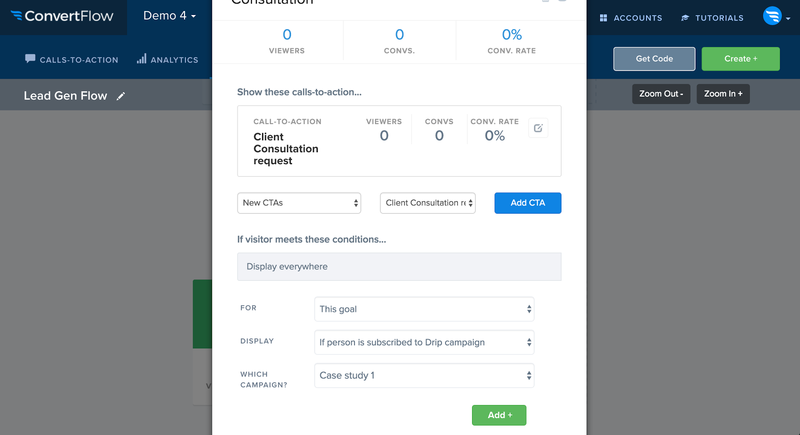 ConvertFlow is a tool that lets you build dynamic calls-to-action across your website. This means you can show or hide banners on your website, depending on a user’s attributes in Drip. Most serious marketers would agree that email list building is important. When a lead visits your blog and they’re already on your list, do you still show them the same lead magnet again and again? Most businesses do. But ideally, you want to pitch email subscribers on a trial, demo, or entry-level product, to nudge them further into your funnel. 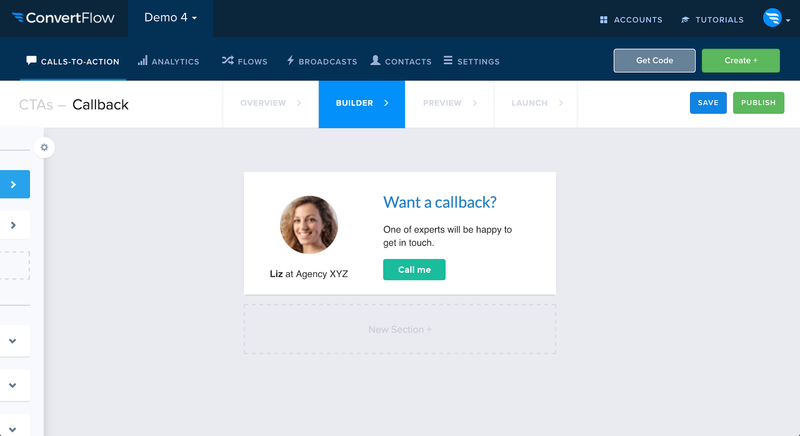 With Drip and ConvertFlow, these dynamic website CTAs are surprisingly easy to set up. As an example, check out the ConvertFlow CTA below. In the ConvertFlow app, you can choose to show this CTA to contacts based on their Drip tags, like folks who are tagged “qualified lead,” for example. 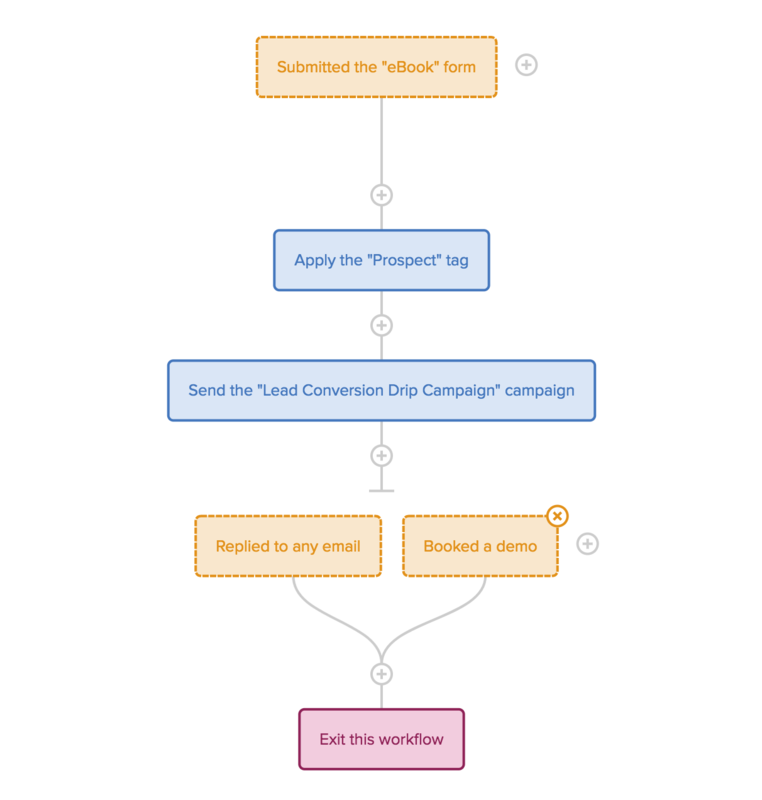 Here’s what the conditional logic looks like inside of ConvertFlow. The more returning website leads you have (that are inside of Drip), the more powerful this strategy will be. If you have thousands of Drip contacts reading your blog each month, this integration could be a game changer for your conversions. Let’s take a quick look at a few ways you can use ConvertFlow and Drip in different markets. Let’s suppose you’re a marketer at a SaaS company. You build your email list with a free ebook. And you “warm up” prospects with an email drip campaign pitching a demo or free trial. 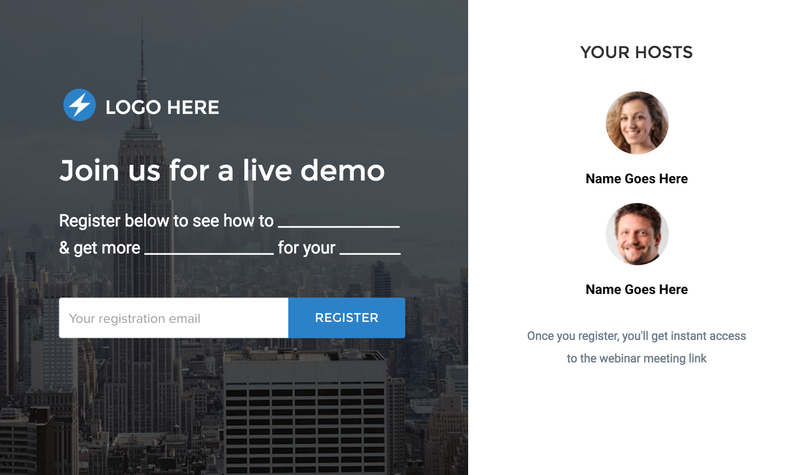 Whether you pitch a trial, demo, or automated webinar, you can pitch more aggressively to users who are further along in their conversion journey. That’s what the ConvertFlow-Drip integration lets you do. Pro Tip: make sure you set up Drip conversion tracking. This will let you track your conversion rate at the campaign and tag level—including tags that trigger dynamic CTAs. Pretty quickly, you can test ConvertFlow on your site and see if your conversion rate improves. According to a 2015 study by Magnetic, 48% of shoppers buy more from online retailers that leverage personalization. Nearly half of your customers will buy more if you can personalize their buying experience. Luckily, with Drip and ConvertFlow, there’s an easy way to put this into practice. Let’s suppose you’re collecting emails with a coupon on your store. 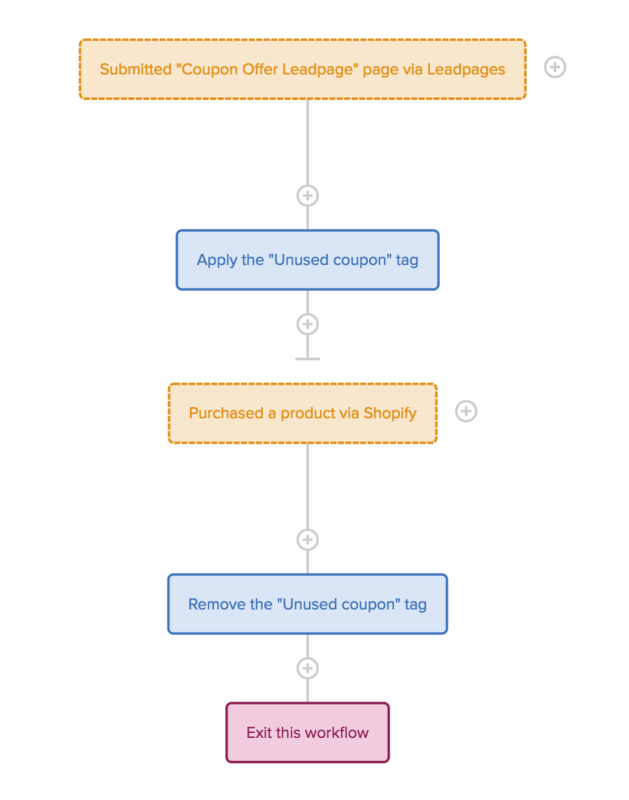 Once you’re getting opt-ins, you can create a Drip Workflow and add the tag “unused coupon” to leads when they enter your funnel. The “Unused coupon” tag lets you display a coupon reminder banner on your store (via ConvertFlow) to any Drip subscribers who haven’t yet made their first purchase. But with ConvertFlow and Drip, even with a tiny store, you can give customers a personalized shopping experience like Amazon. As a coach, consultant, or agency owner, your leads have different concerns. Ideally, you want to have tailored pitches across your website. If someone cares about SEO, you want to pitch them an SEO consultation. If someone cares about conversion optimization, you want to push them to your CRO case studies. And so on. With the Drip and ConvertFlow integration, this is easy to implement. In the example below, we’re again going to show a banner only to Drip contacts who have specific tags. Pro Tip: You can use Trigger Link surveys to tag subscribers based on their industry or interests. 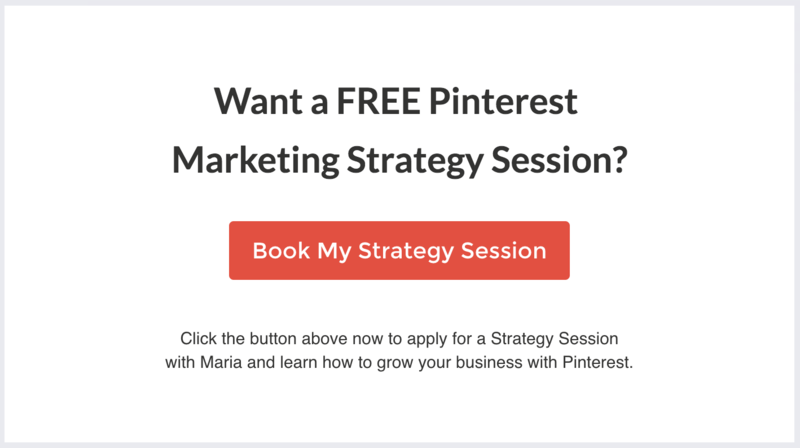 Let’s say you want to show a CTA to everyone who expresses interest in Pinterest advertising services (but not Facebook advertising). Using ConvertFlow, you can show returning visitors pop-ups like the one below. With a little automation, you can generate more leads from your content … and speak directly to their interests, so they’re more likely to hire you. 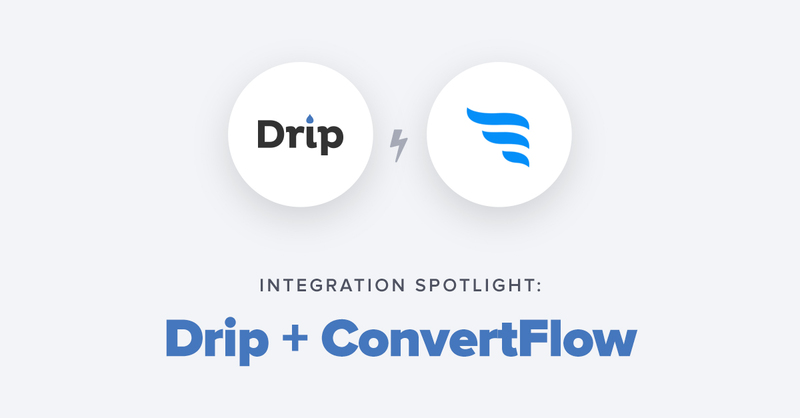 The possibilities with this Drip-ConvertFlow integration are endless. Showing dynamic CTAs based on Drip tags just scratches the surface of what you can do. For a full guide to integrating Drip and ConvertFlow, check out our Knowledge Base guide. Question for the comments: What other strategies or tactics can you test with ConvertFlow and Drip?